Ah, poutine. Fried potatoes + cheese curds + gravy = seriously delicious. I encourage you to seek out poutine, wherever you are. However, you won’t want to look at this photo before eating poutine because it might make you think twice about ordering it. So, Corner Burger. Situated amidst a row of swanky boutiques and restaurants, Corner Burger feels less like Park Slope than, say, New Jersey. Memorabilia of various strains line the walls. A TV showing sports bears the onus of the small dining room’s centerpiece. Maybe the place isn’t all-that-and-a-plate-of-potatoes, but the food ain’t bad. So, the poutine. 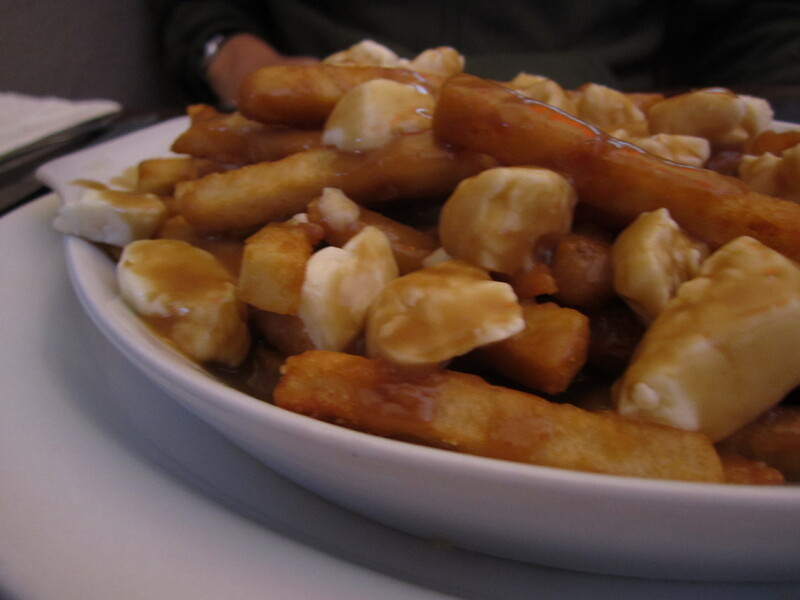 Light brown gravy and crisp-enough french fries support gobs of amazing cheese curds. It’s salty as hell, but we devoured this in no time. What about this corner burger? Well, to be honest, I ordered a turkey burger. Total smash. Turkey burgers can be dry, tough, tasteless. None of the above here! It tasted like chicken souvlaki and was as tender as a burger cooked medium. 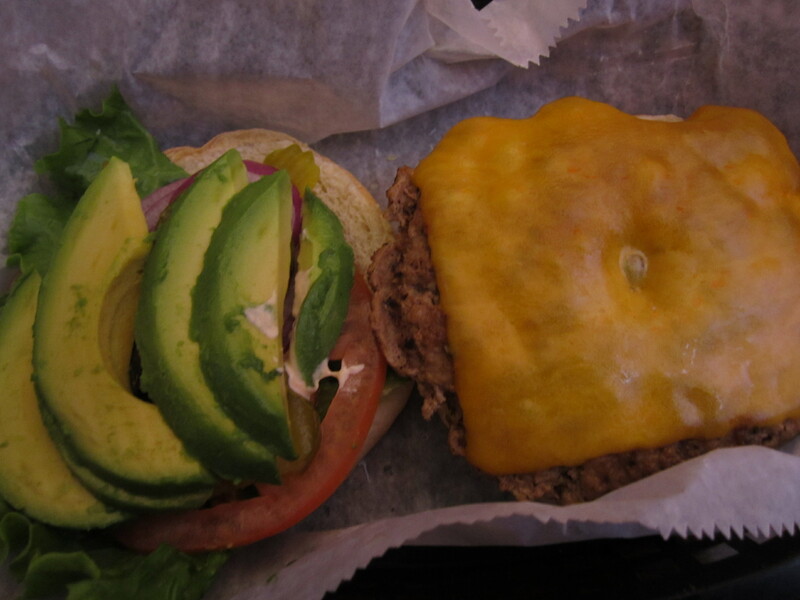 Their big on toppings–and so am I–so I ordered avocado, cheddar, and chipotle mayo between a squishy white seeded bun. Perfection. If you’re aching to walk down Park Slope’s 5th Avenue (Beacon’s Closet! The Chocolate Room! ), stop by Corner Burger for a poutine snack or substantial turkey burger. I hear the onion rings are to die for. Yumm-o.